TOMASIK Tennis Club from Switzerland conducted a training session for aspiring young players at the Emakhandeni Tennis Courts on Saturday. Tomasik founder, Fadzai Madzimbamuto, an ex-female Zimbabwe player, and three Swiss coaches took the dozens of children through a variety of tennis drills and techniques. Madzimbamuto thanked the Swiss coaches for partnering her in her quest to help young Zimbabwean tennis players become professionals. “We have a series of lesson plans that we’re looking forward to implement in the long run, which provides content and structure to ensure the players are fit to play against the best. The lesson plans are provided for all the players who attended and we managed to identify two youngsters whom we believe given support and monitoring they can make it to the top,” said Madzimbamuto. She appealed to the corporate world to assist promote talent, which will help keep children away from mischief. 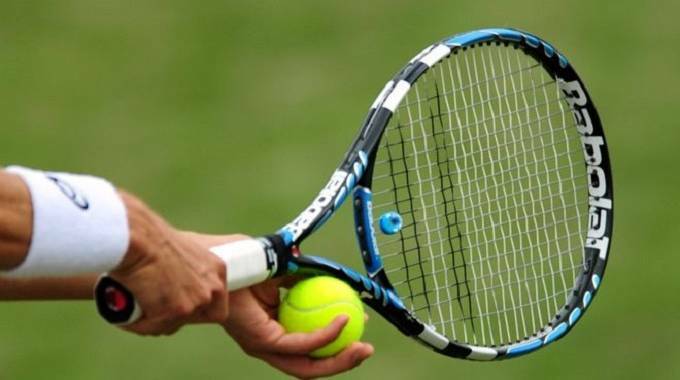 One of the Swiss coaches Frau Michelle Aslaksen said the trip to Bulawayo had been fairly useful and they enjoyed imparting tactical tennis skills to the enthusiastic children. “At the end of the workshop, we demonstrated how the kids can adapt to basic session skills and what touched me is the way the kids gave us attention. We tackled issues such as how to improve movement, how to prevent over hitting and how to be as multi-sensory as possible when playing and I’m very happy with the experience,” said Aslaksen. Martin Nyoni and Felix Mazvivinga impressed the coaches. Emakhandeni Tennis Club coach Khumbulani Thembo said the initiative motivated the children and will help the club going forward. “As a club we’re humbled by the gesture shown by the coaches because in addition to the coaching sessions, they also donated tennis equipment, including playing attire. It will help inspire aspiring players to attend training and make the club even bigger,” said Thembo.